I made a list of all the years that have ever been, and 2015 made my Top 5. Even better: THIS 2015 was my #1 favourite 2015 I’ve ever had. And that was even before the new Star Wars came out. So thank you. Thanks for coming to shows, still believing in CDs, and listening to the music! Thanks for supporting me all the way to STRAB in Mozambique, Oppikoppi, and from Benoni to Bronkhorstspruit. I was able to make and release my second album this year, and I simply can’t wait to do more. 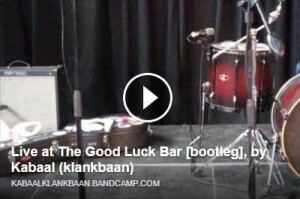 At my last show of 2015 (16 December at The Good Luck Bar), I made a bootleg recording of the set. You can listen and download it below. It’s a free download, but will only be online for a limited time, so jump if you’re interested. You can always also keep an eye on our website for the latest gig news! I’ve been busy writing, recording, and planning, and I’m looking forward to sharing as much as possible of these new things with you. Yes, you.